Chuck Taylor meets traditional hiking boots. After releasing exclusively at the JW Anderson web store last month, the designer’s Run Star Hike collaboration with Converse is set to get a global release. 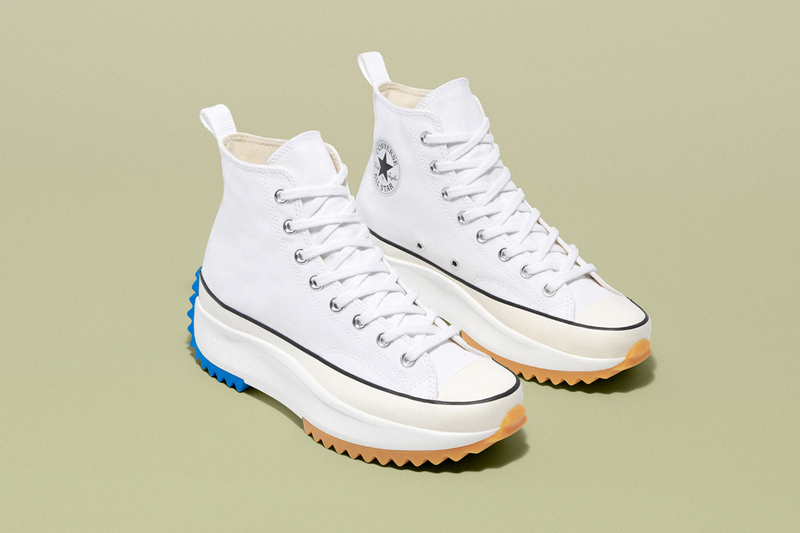 The hiking boot-inspired take on the Chuck Taylor is set to drop in a white colorway, with its canvas upper offset by blue and gum detailing along the outsole. The JW Anderson x Converse Run Star Hike is set to hit the Converse web store and other select retailers like HBX February 12. For more from Converse, check out the label’s latest Brain Dead collaboration. Limited to just 500 pieces. Featuring the very best in skate-enhancing technology. With an additional gift to cover his tuition. Benefitting from last years dad-shoe surge. Designed by techwear expert Conroy Nachtigall. Reworking the 6-Inch Boot and Field Boot.